I went to one of the well known furniture superstores the other week. 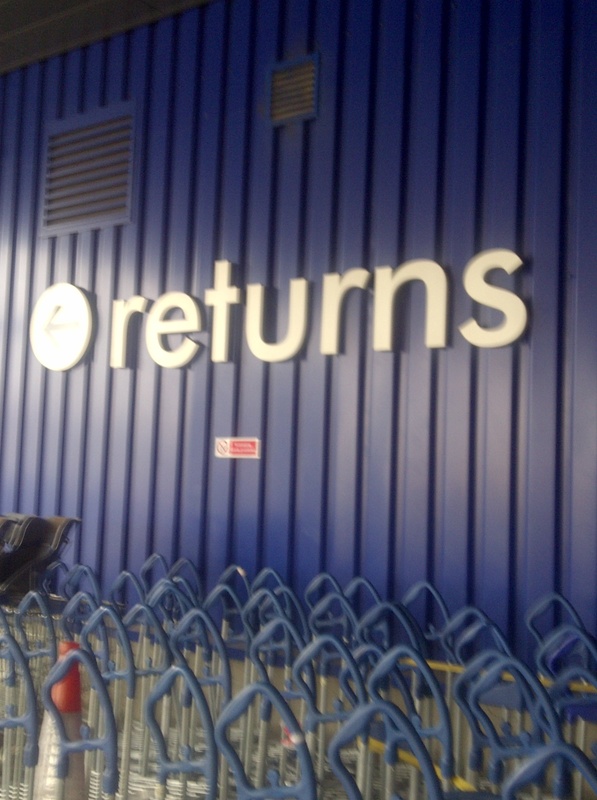 There was a section called “Returns”. It seems you can return things if they have been unopened and unused if they are returned within 90 days with your till receipt. Some people use returns in stores after using the item. Some businesses such as those for photographic shoots depend upon this returns policy as it would cost too much to buy the item outright for only one shoot. I was wondering if there was something you could return what would it be? Would it be your partner/spouse? Your pet? Your children? Your life up to now/a certain age?